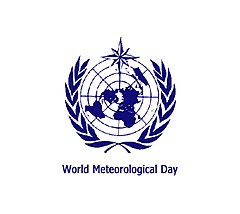 World Meteorological Day 2019 was observed on March 23rd with the theme "The Sun, the Earth and the weather". The theme recognises the critical role the Earth's nearest star plays in what transpires on the planet. The energy from the Sun is taken up by all life forms to perform their biological functions. The Solar energy also regulates global climate, which, in turn, influences local weather conditions and the same energy is also absorbed by the oceans which carry it around the planet, creating further conditions for diverse marine life to exist. World Meteorological Day is observed on March 23rd every year to commemorate the coming into force of the Convention establishing the World Meteorological Organization on 23rd March 1950. The World Meteorological Day showcases the essential contribution of National Meteorological and Hydrological Services to the safety and wellbeing of society and is celebrated with activities around the world. WMO provides world leadership and expertise for international cooperation in the delivery and use of high-quality, authoritative weather, climate, hydrological and related environmental services by its Members, for the improvement of the well-being of societies of all nations. Q. When is the World Meteorological Day observed every year?